I don't easily get tired of any kind of pasta recipe. In fact, even when dining out, I order a pasta dish with another meal. 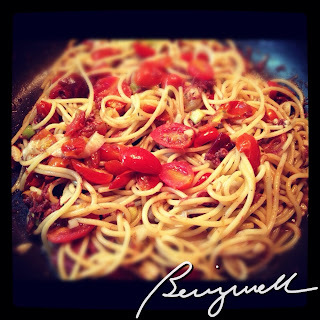 If you love pasta like I do, perhaps you're enjoy this pasta recipe as well. It's easy to do, too! 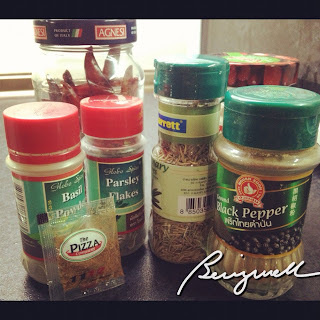 For this post, I'm cooking pasta with corned beef. Read on below for the detail recipe. I would normally use fresh pork or beef in cooking a pasta recipe; however, for this instance I'd like to try it with a can of corned beef. I didn't use a pre-packed tomato sauce, however. I used the remaining cherry tomatoes I had in the fridge. I didn't want to waste them so I made a dish out of them instead. Let's start cooking pasta with corned beef. 1. Cook the pasta. Set aside for later. 2. 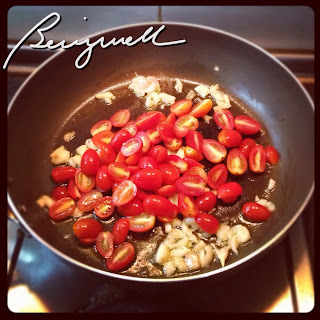 Saute' the garlic and dried paprika in olive oil. 3. 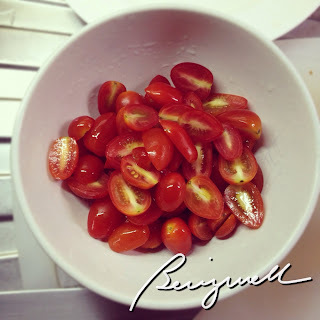 Add the cherry tomatoes. Saute' the ingredients altogether. 4. Cover the dish and allow the cherry tomatoes to release its juices. 5. Add in the corned beef. 6. Add some water. This will prevent the dish from drying. 7. Lower the stove to low-medium. 8. Season the dish with fish sauce, basil, parsley, ground pepper and chili. 9. Under low heat, add the pasta. 10. Garnish with green onion. Very easy, isn't it?! This dish is Italian-inspired with a fusion of Asian cooking. As I read your blog I'm inclined to be a cook by instant. I hope I could. Yummly Pasta. Thanks for sharing. I've never tried this recipe yet, but this is look yummy! Thanks Rizza for this and looking forward to try this one of these days. I think it would be so cool to have corned beef with pasta. 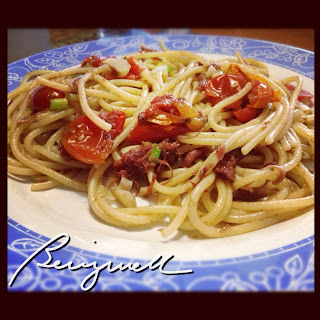 I love pasta and I like the foto especially the beautiful tomatoes that adorn the pasta, itsura pa lang, yummy na! easy home cooking indeed, I also love pasta actually just had some alfredo pasta yesterday.. I often use cornbeef instead of ground beef..it's more convenient and tastier too. hhhmmm... I remember my wife's favorite, Almost the same , except that she uses tuna flakes instead of corned beef...very good pasta dish! Yahweh bless. hmm.. corned beef? yummy! my kids will love this. they like corned beef! Nice tip for a quick snack using easy to get ingredients. You're at ease in doing pasta recipe. It's your forte. this will be tomorrows lunch! I can do this! 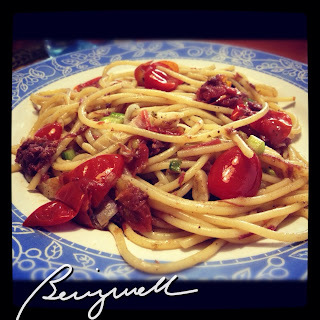 The pasta together with the corned beef is tastefully done. I want to try it. May I?? Ah, this one suits me specially if red chilli powder is added.